Weekend getaway or a full-time home!! 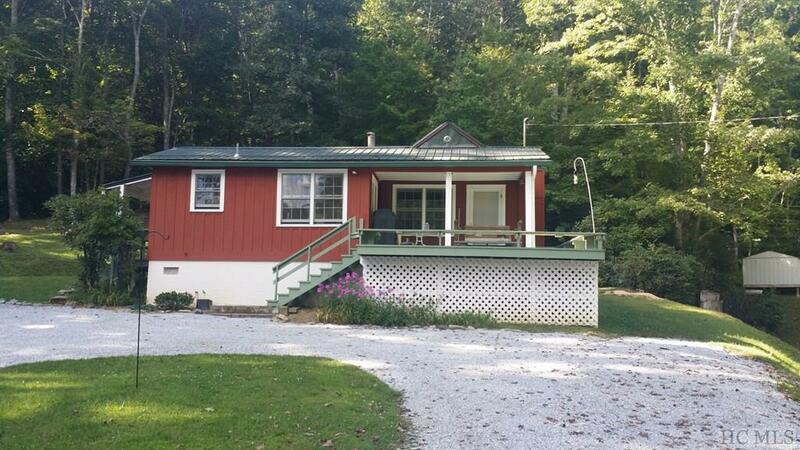 This 2 bedroom 2 bath cottage sits on 11.87 acres of gently rolling partially cleared land. This is a perfect example of a mountain cabin cottage with vintage charm. The cottage has custom built-in cabinets, wood floors, pickwick pine paneling walls and wainscot, a stone fireplace and covered porches. Built in 1960. 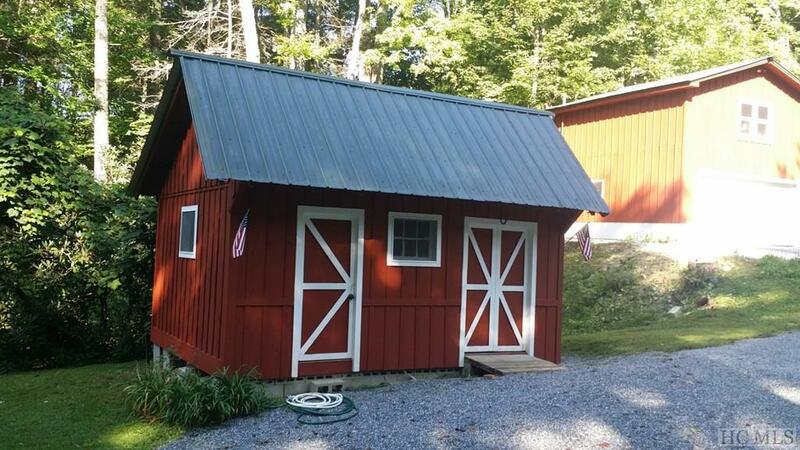 Charming barn and detached garage with an additional bedroom and bath. This property is just past the historic Evitt Cemetery, circa 1889. Have your own mailbox on Jody Town Road. The the drive from Yellow Mt. Road and along Jody Town Road and the surrounding areas boast lush green pastures with grazing cattle. 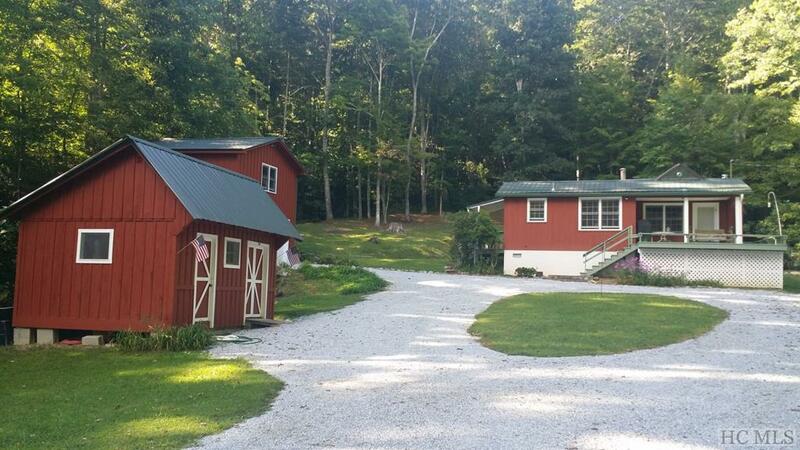 This property is a surrounded by bucolic rolling farm land. Over 11 acres of rolling land. Jodytown Road boasts gentle meadow landscapes with rural agrarian surroundings - farm land, Christmas trees, cattle. This location is minutes from the Cashiers crossroads and convenient to both Highlands Cove and Mountaintop clubs. 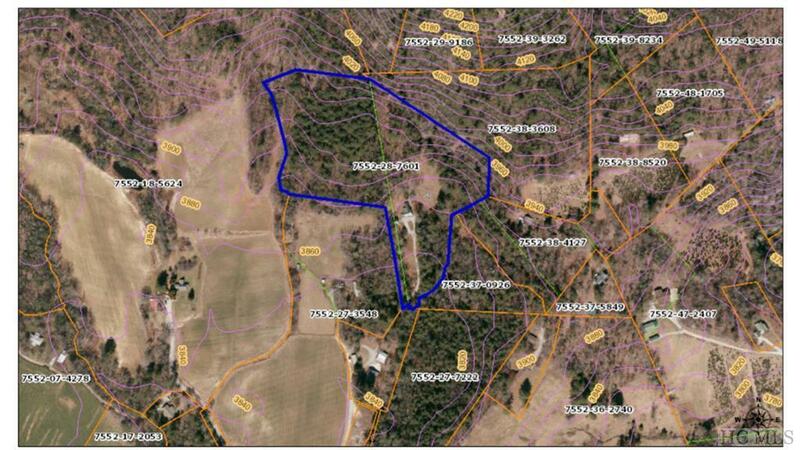 Summit of this parcel is an ideal homesite for an private estate style home. Location is close to several historic homesteads and the Evitt Cemetery dating to 1889; quick drive to Highway 64 to both Cashiers and Highlands.